I know I need to be more specific than just IPA because there are subgroups now...I guess mine is more of a West Coast IPA focusing more on flavor and aroma than outright bitterness and I do like them to be crystal clear. So I've been using the same grain bill for a few years. Roughly 77% 2 row, 14% vienna and 9% c 40. Recently I feel like they're on the sweet side even though I get great attenuation with WY1056 or 1272 and typically end up around 1.008-1.010 FG. Sort of an odd caramel like quality to the taste that I find less pleasing all the time. I recently brewed the Resilience recipe which was just 2 row and 7% c40. I felt like it had that same flavor. Right now I'm thinking I may eliminate the C malt and cut the vienna in half. May even do a batch with straight 2 row. What kind of grain bill are you guys using for IPAs? I'm always changing it up but I almost always have a pound of wheat in there. I stopped using crystals and the like completely maybe some Golden Naked Oats instead. I think your adjustments look good. Maybe just a little crystal for color purposes. Do you think mashing around 148 would help offset the sweetness with some dryness? Your base recipe works well for pale ale or IPA. I do about 73% 2 row, 5% each of Crystal 20, 120, and Melanoidin. 10% Torrified Wheat. 2% Vienna. I would consider changing the C-40 to C-10 or 20 which I think provides sweetness without the caramelized flavors. I'd also try dropping it to 5%. That's a thought. I've been mashing closer to 150. Used to mash higher. Just tapped my Paddy's IPA brewed 3/17. I like it better than the IPA with the c malt in it. Much lighter and cleaner tasting to me. The flavor I found cloying is no longer there. I'd like a little more mouth feel so maybe some wheat or oats and I think less munich or vienna instead. Color is nice, lighter without the c40. There's still a little yeast in suspension I think and I can taste/smell it. It has been moved recently from cold storage to serving fridge. Hopefully as that falls out the hops aroma will improve. It's not what I'd hoped for and not what I usually get in my IPAs. Can't imagine the grain bill change would negatively impact hops aroma. I like this grain bill and can see keeping it with a few changes but I have a 54% 2 row 46% pils IPA on deck that probably needs some wheat/oats added to the grain bill and I'm planning a MO based IPA. 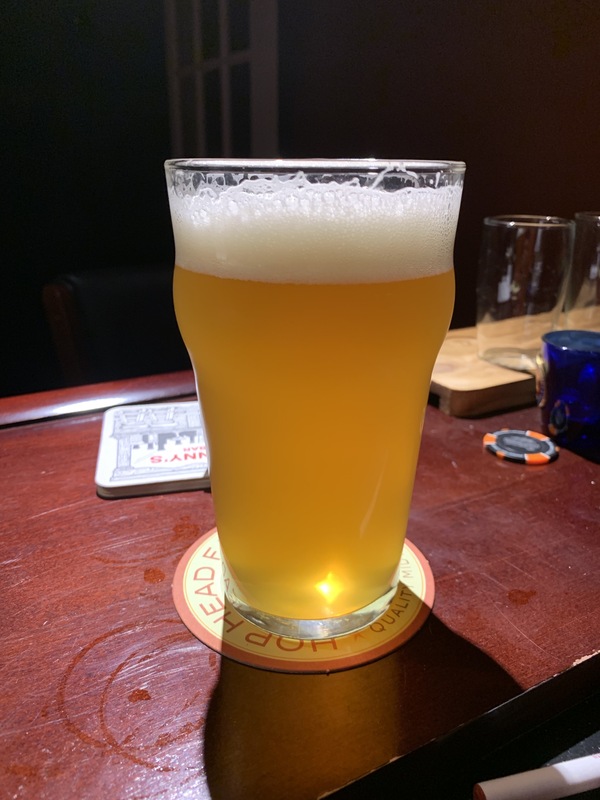 Had a NEIPA recently Solace Brewing Partly Cloudy that I liked a lot. Very light yellow. Almost like a murky Helles now that I think about it. Can't find any info on it except the type of hops, el dorado and citra, and it's double dry hopped. That's an interesting idea. 6 row has more protein than 2 row right?